SPF stands for “Sun Protection Factor.” The higher the SPF number, the more sunburn protection the product provides. Now with the new improved SPF50 PA+++ I am all ready to fight the sun! 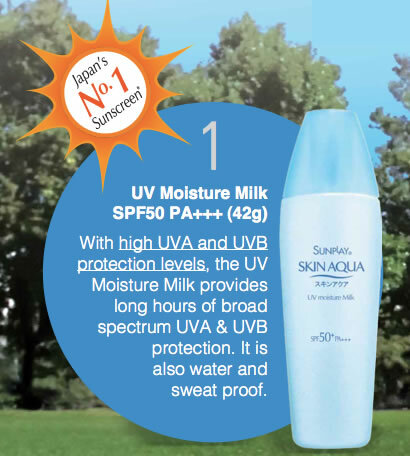 I was excited for I read that the New Sunplay SKIN Aqua UV Moisture Milk SPF50 PA+++ is ideal as make up base and help moisturised the skin, I decided to slap on some and head out! 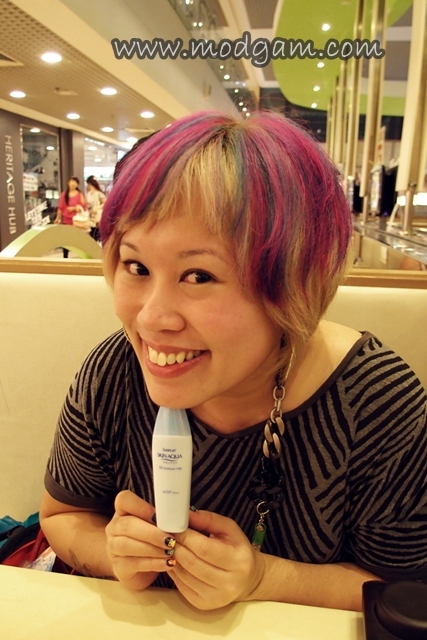 Review: It is really light and watery and I am most amazed with how quickly it absorbs into my face! I didn’t have to wait long before applying my foundation over and was surprised by the non-greasy feeling! I was running errands and still, after 5 hours, my skin is non-greasy and moisturised. 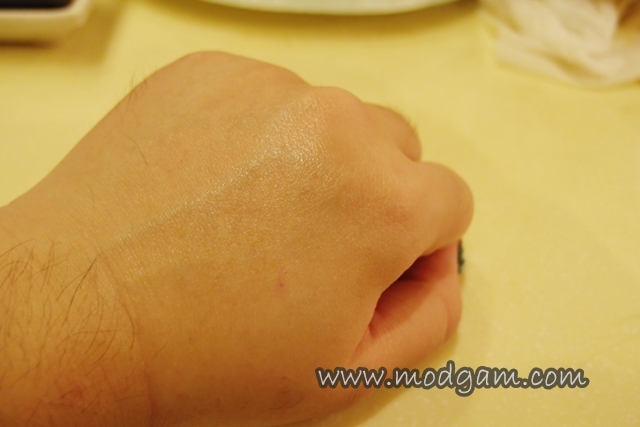 I didn’t even have to blot my skin! Amazing. I am going to bring this baby with me to Taipei this Thursday! Yey!